Gold has edged lower on Thursday, following gains in the Tuesday and Wednesday sessions. In North American trade, gold is trading at $1285.38 per ounce. 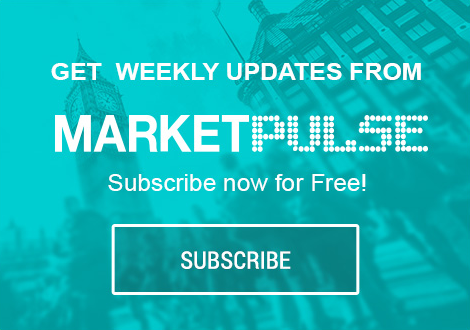 On the release front, it was a busy day in the US which released three key indicators – PPI, Unemployment Claims and the UoM Consumer Sentiment. PPI missed its estimate, but unemployment claims and consumer confidence both beat expectations. With geopolitical tensions weighing on jittery investors, gold prices have jumped 2.4 percent this week. On Wednesday, gold pushed above $1288, its highest level since November 10. Nervous investors have snapped up the base metal as tensions escalate over Syria and North Korea. The US bombed a Syrian military base last week, in response to a chemical attack by Syrian warplanes. Russia has strongly condemned the US move, chilling relations even further between the US and Russia. President Trump has also sent warships to the Korea peninsula, in a show of strength against North Korea, which continues to test ballistic missiles in defiance of the international community. As well, Donald Trump said in a newspaper interview on Wednesday that the value of the US dollar was too strong and that he was in favor of a low interest rate policy. Trump’s comment sent the dollar lower and pushed gold to higher levels. On Monday, Federal Reserve Chair Janet Yellen said that with the economy close to full employment and 2 percent inflation, Fed policymakers were looking to reduce the support that the central bank was providing the economy. The minutes of the March meeting indicated that the Fed plans to trim the $4.5 trillion balance sheet, which has ballooned as a result of the huge asset-purchase program which started in 2008. The Fed plans to raise rates twice more in 2017, with the next rate expected in June. Yellen emphasized that the Fed’s policy stance is neutral, as interest rate increases will be gradual, given that the economy is growing at a moderate pace. XAU/USD was flat in the Asian and European sessions. In North American trade, the pair has edged lower. XAU/USD ratio is unchanged in the Thursday session. Currently, long and short positions are almost evenly split, indicative of a lack of trader bias as to what direction XAU/USD will take next.